Have you ever had a New Year’s Resolution that lasted past January? If you answered no, you are not alone. FACT: 80% of New Years Resolutions DO NOT make it past February! 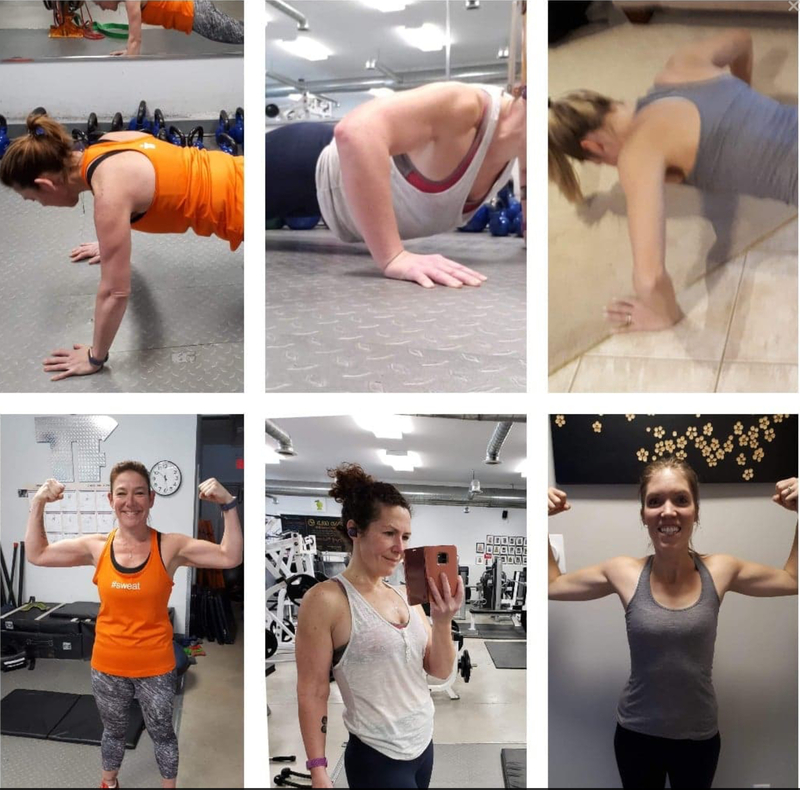 If you are in need of a little inspiration in crafting your New Year’s Resolution, take a look at what these dedicated Towne Fitness Members accomplished in 2018. A small group of members started on January 1, 2018 with a commitment to complete 50 pushups a day for 365 days. 5 ‘grace’ days were allowed and any type of pushup was permitted, which made it more interesting as they pushed themselves through the year. Of the original group, three reached their goal; Kim Ricci, Melanie Lethbridge and Amy Whitworth Rayfield. Each of them completing 18, 250 PUSHUPS in 2018. In fact, they completed more if you count all the ‘extra’ pushups done in class. Thank you for your dedication, inspiration and good humour. We are all very much inspired by you.